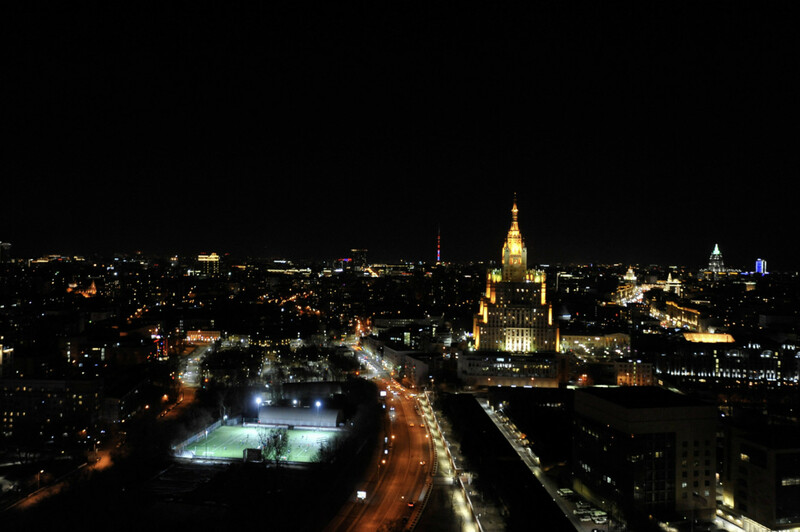 Some of Moscow's most iconic sights went dark for one hour Saturday night to mark Earth Hour, a global event that highlights environmental awareness and encourages responsible energy consumption. 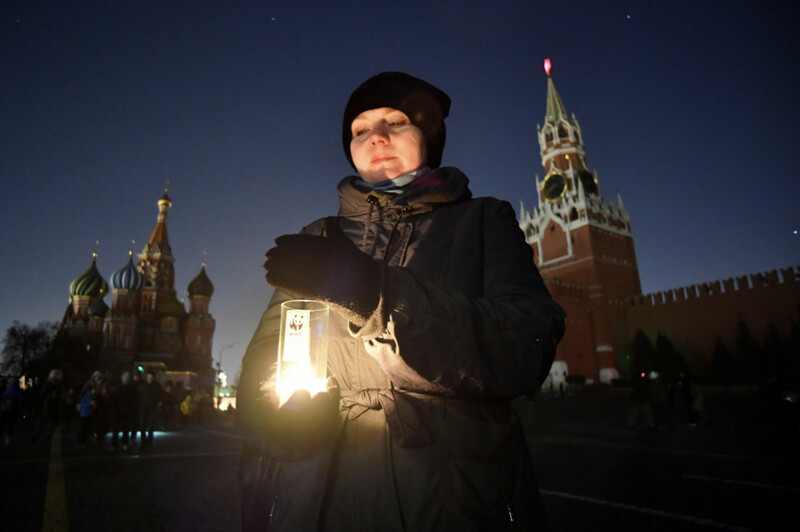 The World Wildlife Fund (WWF) led a rally in Red Square to mark the occasion. 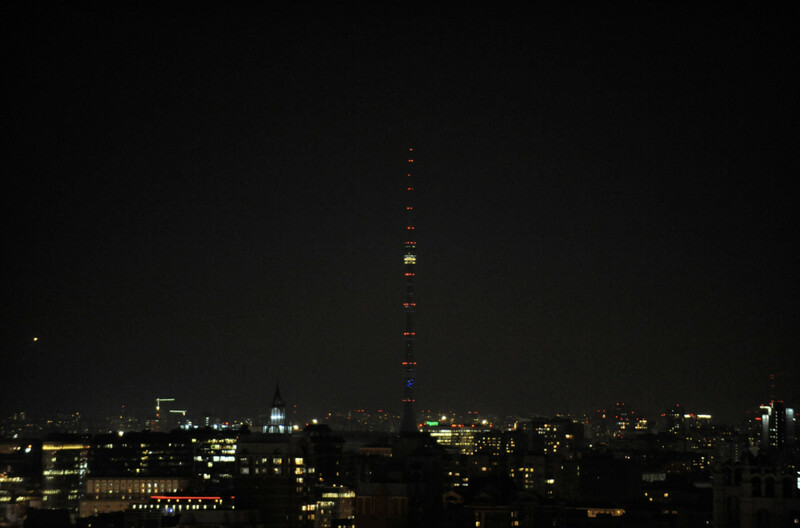 Ostankino Tower, the tallest free-standing structure in Europe, is seen without its colorful nighttime illumination. 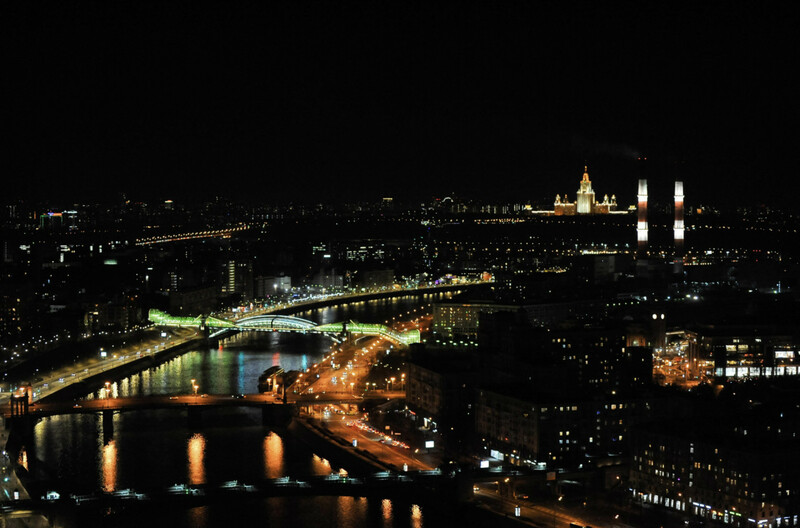 Stalin's Seven Sisters, some of Moscow's most recognizable architectural sights, went dark. 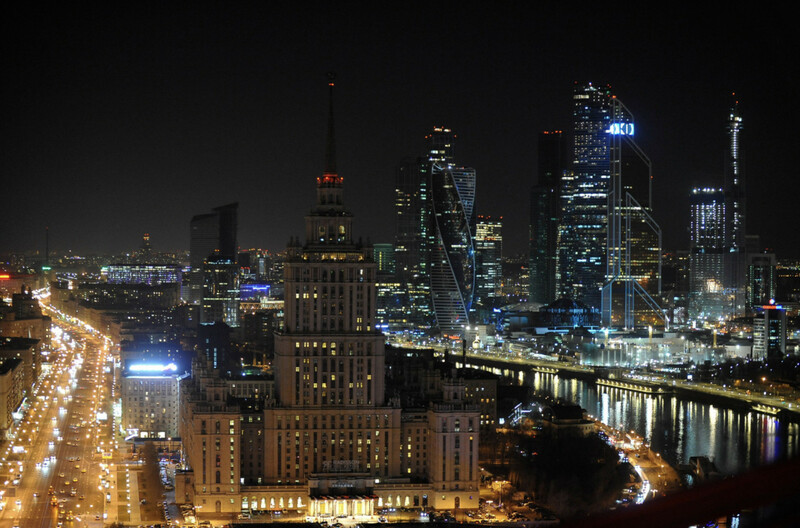 The iconic Hotel Ukraina stands in darkness next to Moscow City's skyscrapers. 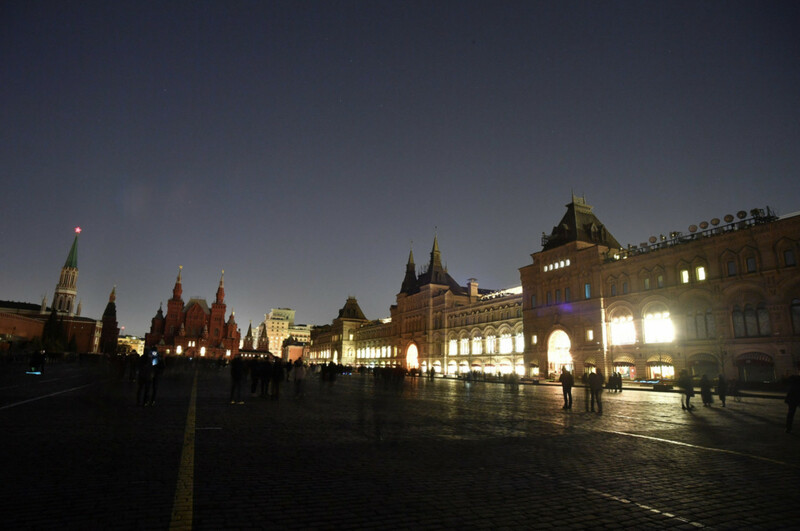 Red Square is known for its beauty at night — but for Earth Hour, it took on a more eerie look. 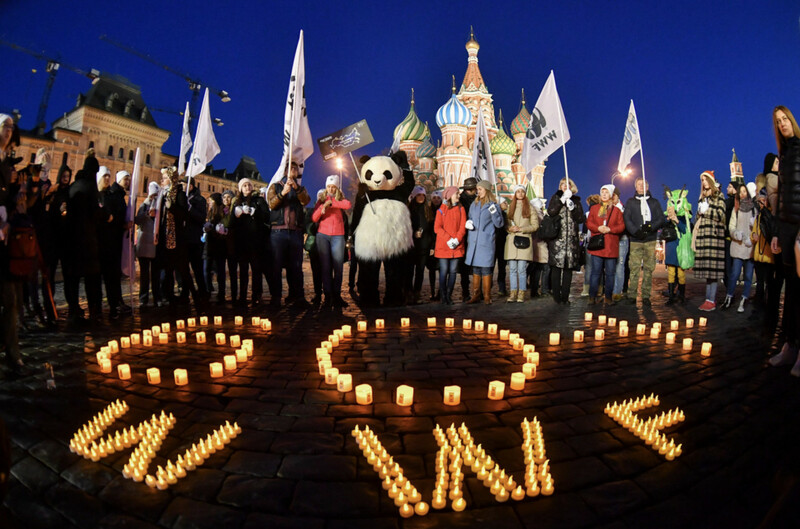 Once the lights went off, the WWF rally lit candles. Citizens were also encouraged to reduce their electricity use during the hour. 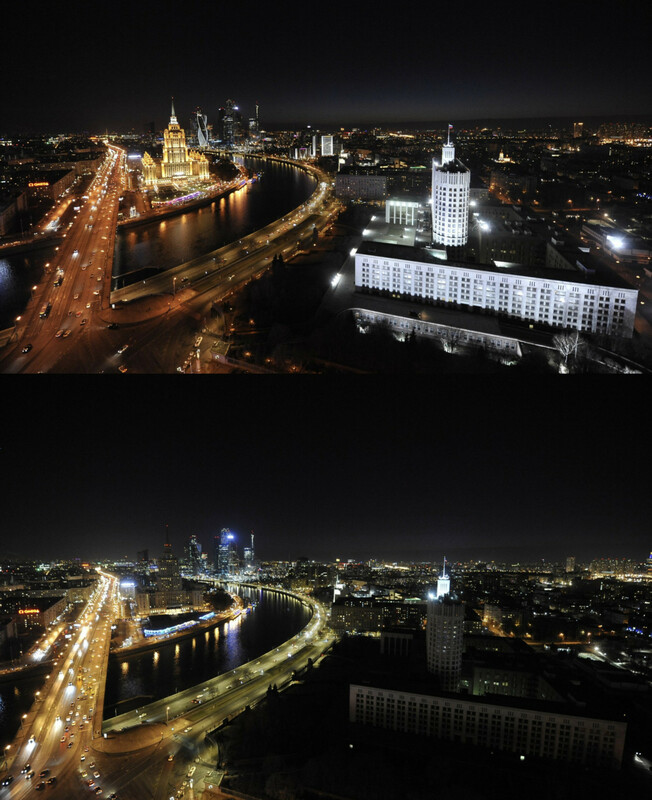 The Russian White House, the seat of the country's government, seen before and during Earth Hour.